Gastroenteritis refers to inflammation of your intestines and stomach caused by a virus contracted by eating contaminated food or taking certain medications. Regardless of the cause, symptoms may include abdominal cramps, diarrhea, nausea, vomiting and, in some cases, a low-grade fever. Treatment for gastroenteritis aims at making you feel better and promoting hydration while your body rids itself of the illness, according to the University of Maryland Medical Center. Eating bland foods, along with drinking lots of fluids, can aid in recovery. If your symptoms are severe or long-lasting, seek medical attention. 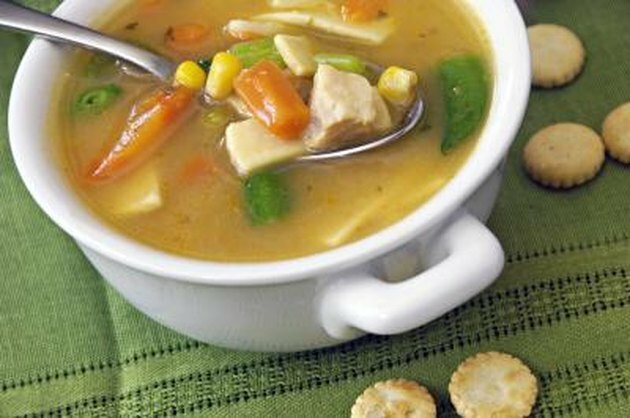 Soups provide valuable amounts of fluid, which can help prevent or alleviate dehydration caused by diarrhea. Fluids also help your body flush toxins through urine, which may expedite the healing process. 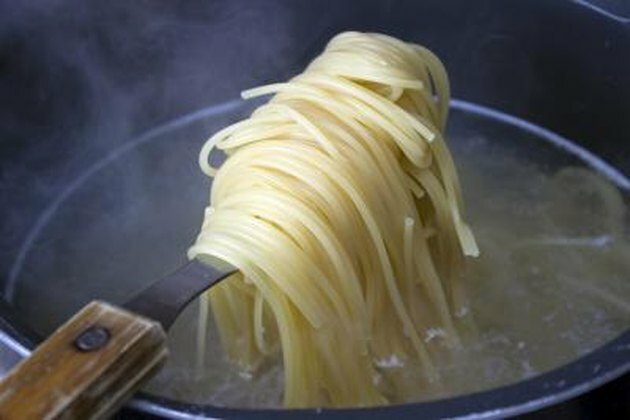 Because dairy products may exacerbate diarrhea symptoms, consume plain broth or broth-based soups containing soft, easy-to-digest ingredients, such as well-cooked pasta, soft vegetables or soft beans. You may also find creamy potato soup, prepared with water rather than milk, soothing. Use mild seasoning, such as dried celery or parsley, rather than spicy or pungent-tasting herbs, which may worsen your symptoms or displease your appetite. Pure fruit and vegetable juices provide an additional hydrating, nutritious food option when dealing with gastroenteritis. Incorporating vegetables into broth-based soups provides a valuable means of increasing your antioxidant intake, which strengthens your body's ability to defend itself against infections and disease. 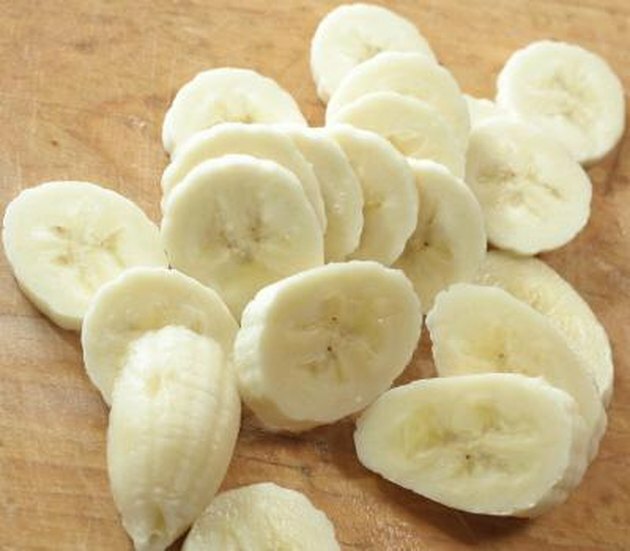 As your diarrhea begins to subside, incorporate soft, bland foods, such as bananas and potatoes, into your diet, recommends the National Digestive Diseases Information Clearinghouse. Additional soft fruit or vegetable-based foods include unsweetened applesauce, baked and peeled apples or pears, canned pears stored in natural juice, steamed cauliflower, well-cooked carrots and fruit-containing smoothies. Grain products, such as breads, cereals, rice and baked goods, provide valuable amounts of glucose -- your body's primary energy source. While whole-grain foods provide more nutrients, fiber and protein than refined-grain products, such as white bread, you may have difficulty digesting whole-grain foods until you've recovered. 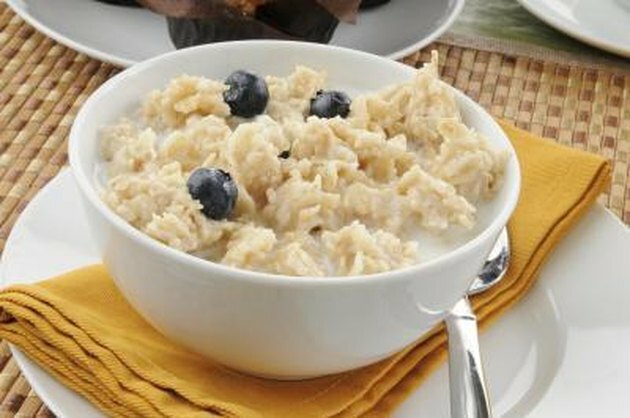 As fiber-rich foods, whole grains are more difficult to digest. During recovery, choose soft breads, such as enriched white or wheat bread, and enriched white or brown rice, which are softer than whole-grain varieties. Additional bland, soft-grain products include well-cooked enriched pasta, hot cereal, couscous and barley soup.